12" Plastic free heavy flow pad by Ngozi Sews. 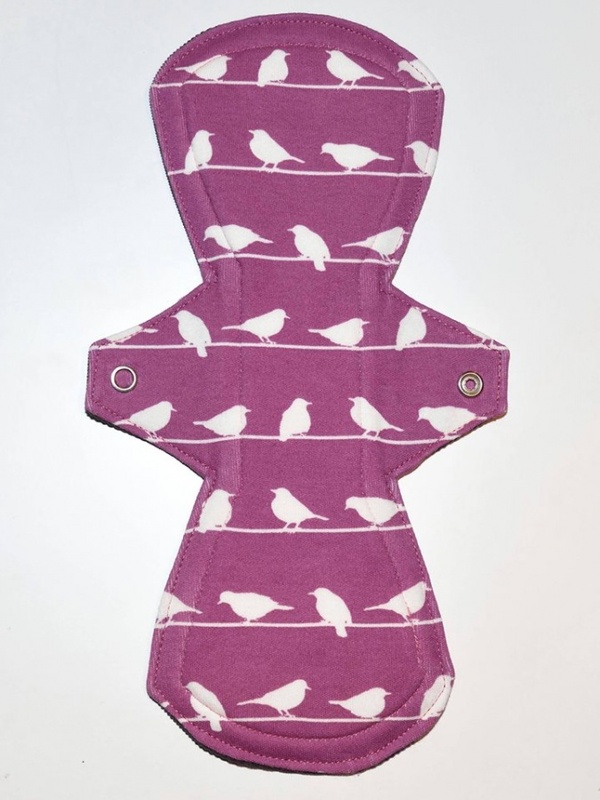 With 100% organic cotton, cotton needlecord, organic cotton and hemp fleece. This pad also has an organic cotton water-resistant hidden layer, which is also plastic-free! 12" Plastic Free Heavy Pad by Ngozi Sews. A beautifully made pad, from the Earth Kind range. Suitable for heavy flow. Topped with 100% organic cotton interlock and backed with cotton needlecord. 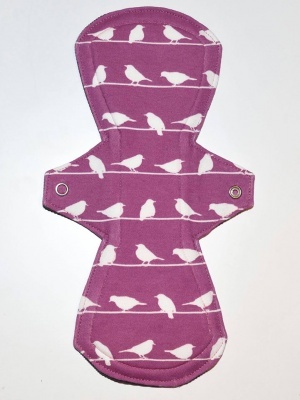 The core of this liner is organic cotton and hemp fleece. This pad also has an organic cotton water-resistant hidden layer, which is also plastic-free! The cotton needlecord is plastic-free and a grippy fabric that does not slip around in your well-fitted underwear. Cotton needlecord and hidden layers do not emit microplastics into the environment, unlike polyester fleece. The snaps of this pad are metal making this a wonderful plastic-free pad! Nina at Ngozi Sews has taken great care to produce a pad with wonderful stitching and great pattern placement too. Core: Organic cotton and hemp fleece and a natural organic cotton water-resistant hidden layer.